Some legislative proposals raise considerable controversy beyond the national territory in which they are issued. The Stop Online Piracy Act (SOPA), a bill that is currently pending in the US House of Representatives, is one clear example of such a proposal. Aimed at fighting unauthorized trafficking of copyrighted content in the online environment, the proposed bill would enhance enforcement by introducing new weapons against websites that enable or facilitate infringement of copyright. SOPA is similar in scope and purpose to the PROTECT IP Act, a corresponding Senate bill. The proposed bills would authorize copyright holders and the US Department of Justice to seek court orders against websites – domestic or foreign – that host infringing content or that enable or facilitate copyright infringement. Through such court orders, online payment processors and advertising networks could be required to stop doing business with allegedly infringing websites; search engines could be prevented from linking to such websites; and internet service providers could be ordered to block access to such websites. Under the proposed bills, internet services that take voluntary action against allegedly infringing websites would be granted immunity from liability. In the US, SOPA and PROTECT IP face strong opposition from a wide range of critics, including internet service providers, civil society groups, cyber security experts and academics. Some Members of Congress have also warned against the negative implications of these bills. The main arguments against SOPA and PROTECT IP are that they would lead to internet censorship, hamper free speech (including non-infringing speech) and result in an increased monitoring of internet activities, thus invading user privacy. Moreover, it is feared that the bills would negatively impact legitimate websites hosting user-created content, disrupt the internet-based economy and harm the basic structure and architecture of the internet. At the national level in Europe, policy makers are also worried about the extra-territorial effects of the proposed legislation. In January 2012, the Dutch Minister of Foreign Affairs was asked parliamentary questions about the negative implications of SOPA and PROTECT IP on internet freedom. Because the bills are not directed at US-based websites only, but at any website that is accessible in the US, it is feared that they affect a large number of websites worldwide. This is especially so because the legal definitions in SOPA and PROTECT IP are so broad and imprecise that these bills target not only pirate websites, but also jeopardize websites and online business models with a legitimate aim. Whether the bills – in this form – ever get enacted still needs to be seen. 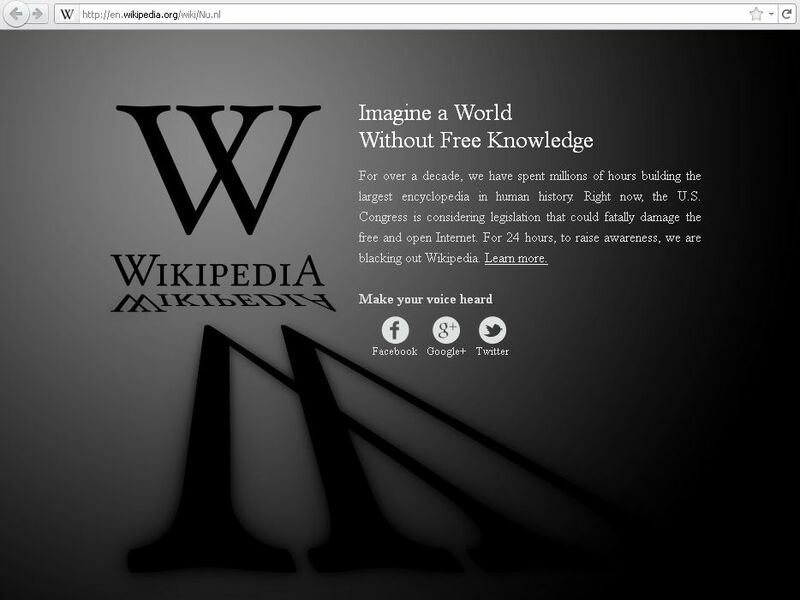 On 14 January 2012, after having received over 100,000 signatures in opposition to the bills, the White House released a statement announcing that it “will not support legislation that reduces freedom of expression, increases cybersecurity risk, or undermines the dynamic, innovative global Internet.” It now seems that the voting on SOPA and PROTECT IP are – at least temporarily – suspended.